Fundraising phone calls from strangers make people hang up. But if the caller’s a friend, friend of a friend, or is similar to you, you’re more likely to donate. 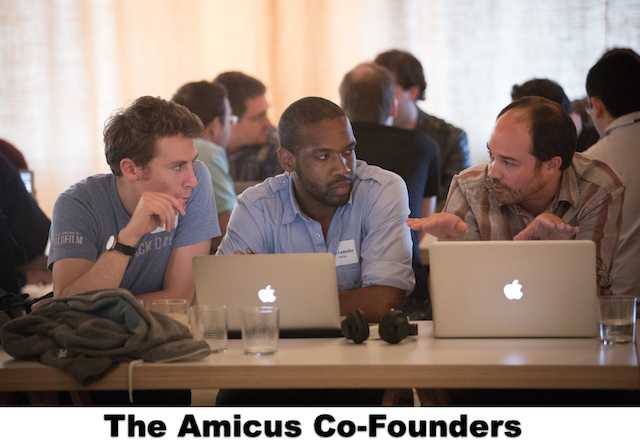 Amicus has just raised $3.2 million to offer this social graph intelligence to non-profits. Y Combinator, FF Angel, 500 Startups and more have put money down because they think fundraisers will put money down on Amicus to get donors to…put more money down. Non-profits spend $0.20 of every dollar they raise on overhead, and a lot of that goes to inefficient fundraising. That equals $60 billion last year for U.S. non-profits alone. Until recently, though, there was no way to know who on your giant potential donor list was connected to your teammates. But now there’s Facebook. Other plays in the social fundraising space like Causes and Fundly are focused on using Facebook and Twitter as channels for sending indirect invitations to donate. But Bannon thinks “those mediums are still very spammy. They’re not really great at compelling donations.” Anyways, only 11 percent of donations are raised online. The rest come from the tried and true methods of fundraising — phone calls and snail mail. If a friend sent me a Facebook invite to donate, I have no problem ignoring it, because they probably wouldn’t even know. If a friend sent me an email, I might ignore it but I’d feel guilty. If a friend called me, I’d call them back. If a friend sent me a postcard I’d be giddy. So Amicus concentrates on getting non-profits more donations per phone call or snail mail. How? It combines the non-profit’s mailing and phone call lists with the Facebook data of all their supporters. It looks for matches and assigns staff members to call or mail people who are their friends, friends of friends, or who they have interests or other biographical data in common with. “Hi, I’m Josh calling on behalf of the Red Cross. We went to the same high school / are both friends with Eric Eldon / both love the San Francisco Giants. Can I tell you about our fundraiser for Hurricane Sandy?” The answer is more likely to be yes. And that’s why non-profits are willing to pay for Amicus. The startup is already profitable, in fact. So why did it raise $3.2 million? First, to hire a boatload of developers and some customer support. But second, to implement a savvy enterprise sales strategy. Of all the money spent on non-profit fundraising, Bannon tells me “60 percent is spent by the top 6,000 so that’s our focus.” That means it needs experienced sales wizards that can convince these top organizations to invest in Amicus. Also, all of Amicus’ investors are on the board of at least one non-profit. “We’re going to make a ton of money but we really care about our social good mission and we wanted investors who did too,” Bannon says. Along with its prior seed round from RRE Ventures, NYC Seed, and Quotidian Ventures, this new round brings Amicus up to $3.78 million in funding. 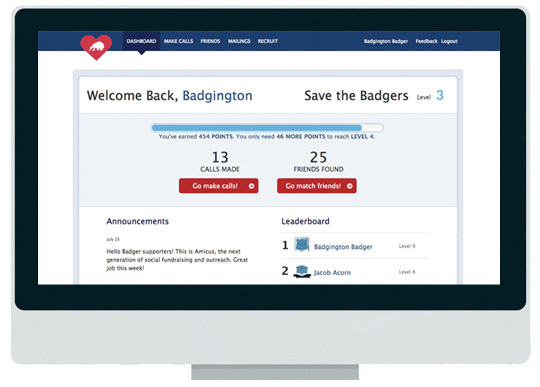 Down the line, more donations may shift online, but until then, Amicus will bring phone banks and paper mailing into the 21st century. And when the shift is complete, it’ll have plenty of data to make those Facebook invites to donate stand out from the spam.